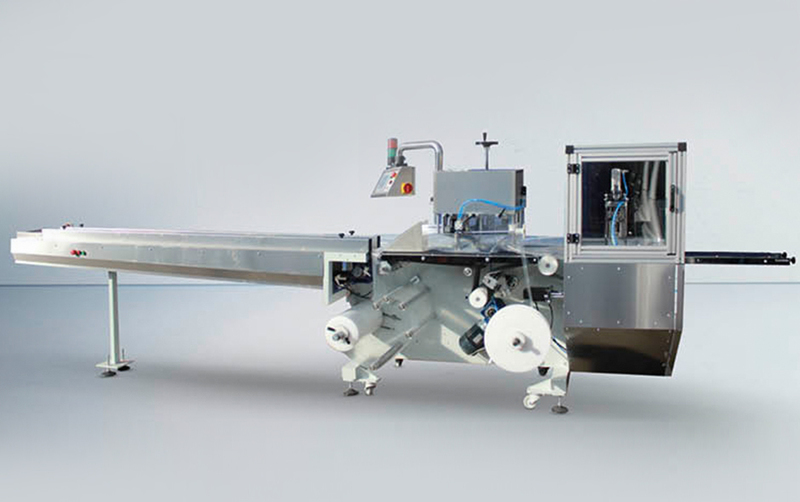 This machine is designed to package high, large and heavy prdoucts on the horizontal system. The machine can be used in the food industry, cosmetics and cleaning industry, automotive industry, medical products, electric materials, furniture accessories, PVC pen systems, white goods, toys, gifts, wet wipes, pocket handkerchiefs, etc. 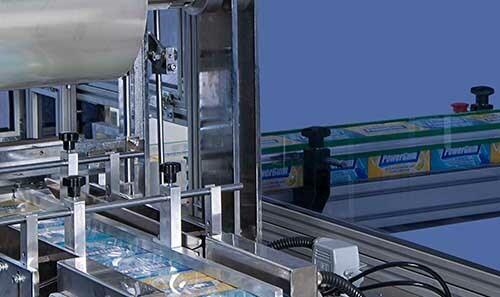 The machine operates with PE ( Polylethene ) only and is designed to operate compatibly with all kinds labeling system and date coding devices. All setting & functions can be accessed via the touch control panel. Heat settings, photocell settings, package cutting length, capacity, number of required products etc.. can be set & viewed from the screen. All surfacees in contact with the product are 304 quality stainless. Machine whole body also is covered with Stainless Steell sheets.